Guests and their parents can enjoy a buffet of breakfast and brunch bites, such as scrambled eggs, cinnamon buns, biscuits and gravy, chicken fingers, waffle-battered sausage on a stick, coffee cake, and more. 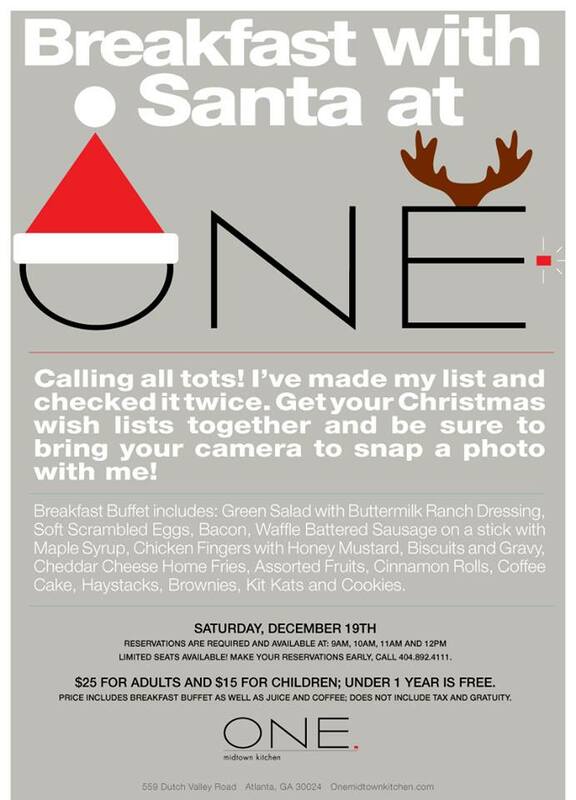 Santa will also be in the building and ready for photo ops. Reservations are required and can be made for the top of each hour until noon. Free for children under one year old.